Milky Way is just above reception...awesome to photograph! A good location. But quite a few steps to your room. Picture perfect location, friendly staff, well kept garden, only 10 minutes bicycling from the harbour. The best view is from the top floor rooms if you don't mind the steps. I recommend this hotel. The view from the top floor is just amazing (the stairs are not that difficult to make). Not busy, easy walk / bike from the harbour. The room was decent size, clean, airco worked perfectly, the balcony was nice to sit at. A very big bed! Breakfast was freshly cooked, coffee also decent. The beach to the right from the hotel had unbelievably azure water and huge beautiful waves. View of the hotel. Very kind staff. 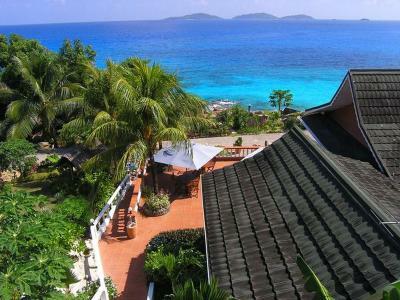 The Hotel is located in a very calm area of the island with great view and nice small beaches very close to that place. Very nice staff. The view from the restaurant and the room was stunning. Quick breakfast with a set menu with eggs and fresh fruit. The view over the ocean is amazing! Either from the room or from the restaurant. The garden with its vegetation is beautiful and the location is really convenient. Bike rental is recommended for getting around the island. Room is really spacious and cozy, bathroom as well, and the decoration is remarkable! Cleaning ladies are kind and tidy. We really enjoyed our stay! 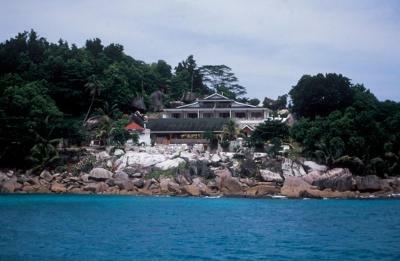 Located at Anse Patates on La Digue Island, Hotel L'Ocean boasts magnificent views of the sea surrounding small islands. 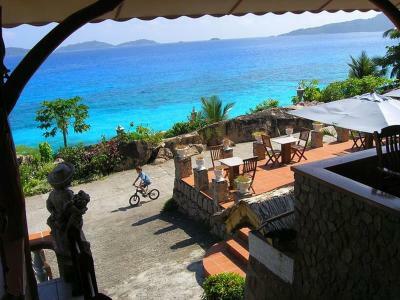 It offers a restaurant, bar and sun terrace. Each room here will provide you with air conditioning and a balcony with sea views. Featuring a shower, private bathroom also comes with free toiletries. The hotel offers luggage storage, bicycle rental and laundry services. 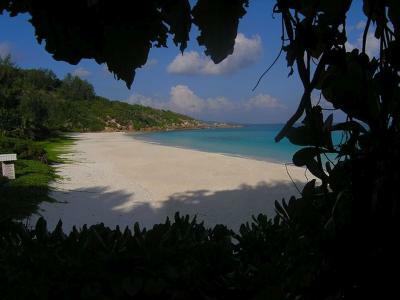 The beach is just a few steps away and the Inter Island Ferry is 0.8 miles from the hotel. Hotel L'Ocean has been welcoming Booking.com guests since 31 Oct 2014. When would you like to stay at Hotel L'Ocean? House rules Hotel L'Ocean takes special requests - add in the next step! Hotel L&#39;Ocean accepts these cards and reserves the right to temporarily hold an amount prior to arrival. Hotel L'Ocean accepts these cards and reserves the right to temporarily hold an amount prior to arrival. The old fashion style and old facilities. The ocean view, cleaness and comfort of the room. My wife took some time to write some points that we didn’t like about the hotel so that nobody ever makes the same mistake again booking this hotel. Also mentioning we changed hotel after first night and didn’t even bothered to ask for second night refund!! “-no one helped with luggage even if i'm pregnant and i can't carry on the stairs -we didn't receive even water when arrived, not to talk about other "welcome drink", even if it was really hot outside -no water in room either -dirty room,big stains on the curtains, poor bathroom and the shampoo that they provided was half used -we asked for beach towels and that guy gave us some smelly, greasy, stained, faded towels(check picture of fresh towel attached!! ), not to talk about his attitude -reception guy wasn't really friendly -no TV, no wifi -no phone in the room to call to reception -no light in the balcony and in the room was only one bulb that was working and one lamp -safe that is not working -they didn't even bother to take the extra bed that was in our room (we didn't asked for any) -after we arrived, we started to look for another hotel and moved after the first night” I really hope they renovate hotel ASAP and also fix management issues. The view from the hotel! I regret that we didn't stay longer there. Amazing view from the hotel. The bathrooms were tiny and the shower was a little cramped. Dinner was ordinary thus would recommend to eat in town. Staff was super friendly. Fantastic view. 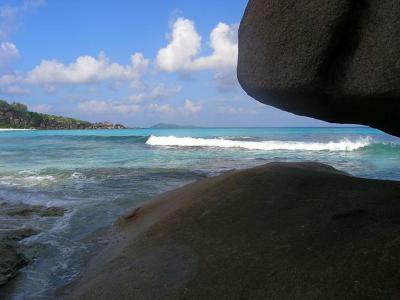 Good value for money for La Digue in season. Breakfast was decent and filling. Loved the location but to get to the best rooms you have 40+ steps to do! The breakfast could have been more generous . A few lights were not working, bathroom is a bit "old" but the views and location compensates this little discomfort. The shower was pretty small, though didn't have any problem with water temperature or pressure. The small fridge in the room is rather loud. 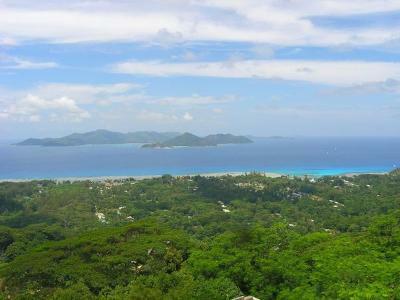 We asked the staff to order us a taxi to catch a boat to Mahe next morning, but the taxi was not ordered in advance, which gave us 20 stressful minutes until other person arranged it ad hoc. The hotel was very unhygienic. This made our infant daughter ill as there were lots of insects around the room and the bed. There was no support from the hotel staff named , Mr Jude. We stayed there for only one night as we could not bear the environment and we demanded for a refund of the second night stay but there was no response at all from the hotel management. MrJude kept on keeping our queries on hold and we left next morning without any answers to our questions.Till today we are still waiting for a postive response but nobody from the hotel has tried contacting us. We were highly disappointed with the property. There was no WiFi available. There was no TV available. Breakfast was the same daily (2-3 fruits, bread, butter and jam, tea/coffee) Furniture was old and needs renovation You have to carry the luggage upto your room. Hotel doesn't provide cycle on rent which they should ideally No pick up and drop is provided by the hotel. However, they will call for a taxi for drop which is chargeable. The pressure in the shower is less. Quite old and not up to date in general. Bathroom had not modern standard at all. Shower stall space is cramped. 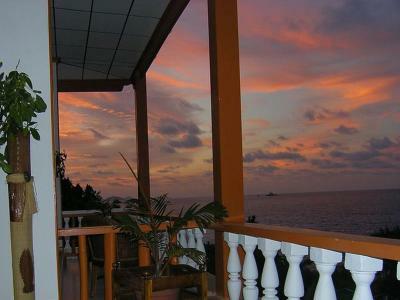 - Amazing location - Minutes away from Anse Severus - Friendly Staff. Jude was very helpful in explaining the location and the best points for travel.